Google is planning to separate Google+ Photos from the rest of its social network in an effort to draw more users toward the photo platform, sources recently told Bloomberg. The goal would be to make the photo service more independent, so that those who don't use Google+ often or don't have a profile can still use the service. From Bloomberg's report, it sounds as if the photo platform would still work for Google+ users, but a Google+ profile will no longer be required. The report comes about three months after Vic Gundotra, who previously headed the Google+ team, que Announced he was leaving the company. Following his departure, TechCrunch Reported que Google plans to change its branding tactics for Google+. According to the report, Google+ would no longer be a social network Aimed at competing with Facebook, but would instead exist as a platform. This type of change would not be surprising. Three years since its launch, Google+ has not Reached the same popularity the other social networks such as Facebook or Twitter. In January, Facebook Reported That It had Reached 1.23 billion monthly active users. Google claims to have 540 million monthly active Google+ users, but these numbers can be a little skewed since Google sometimes requires you to create a Google+ account to use its other services. 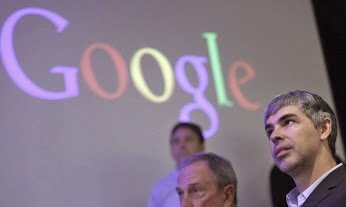 The New York Times Reported That only half of Those users actually visit Google's social network.